Some mornings, my closet full of clothes might as well be empty. There is such a vast amount of clothes stuffed in there that I don't even look twice at anymore. I have been trying to do the "one in - one out" rule whenever I purchase new things (new shoes don't count, right? RIGHT?) as well as pick out some random, less-worn items to work in with my daily outfits, but I can tell that at the end of this season, I need to do a deeper purge. Some of the items just aren't going to make the cut. Ultimately, I've really noticed that I wear a lot of black, and a lot of the clothes in there are from my lighter, brighter days (when were those again?). I work in PR, so it all works out well, because bright, fun colors are not something you see a lot of in this industry. Everyone seems to be about the subdued edginess, wearing brights only as accessories to play up black tanks, pants and dresses. Sometimes, though, my mind and body screams out for some COLOR. And right now, that color is ROYAL BLUE. 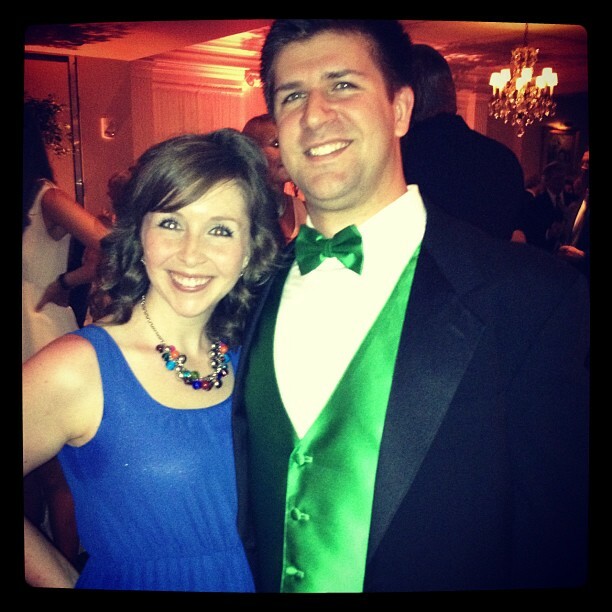 Rockin' the royal blue and some bright green to complement it at a black tie wedding! I love this royal blue bedding. It makes such a statement while still giving off the vibe of relaxation, perfect for sleeping. These royal blue pillows would jazz up any neutral color couch. Short on storage space? This gorgeous armoire would store your things while making your bedroom or another room stand out from all the rest. I love the mirrors! This jacket screams DERBY to me. Imagine it with a bow tie! While the major horse racing season is over for this year, this dark royal blue piece for the guys would still be a great accent to light-colored chino pants for a casual yet trendy look. Look, even the Queen knows her stuff! Two last ones for the gals -- I want this bikini now! Those frills are to die. And a statement blue bag? Never goes out of style, even if this trend goes to the wayside. What color are you loving right now?